The new one from Eric Paslay sounds like a bit hit. 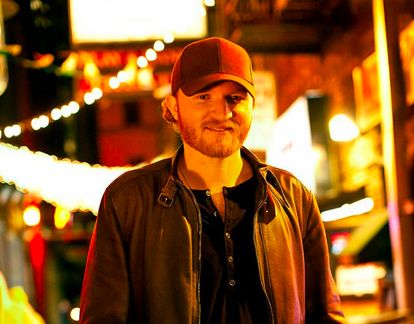 Eric Paslay has been coming into his own as an artist. He has a couple of hits under his belt now and I would call him an ascending country music artist. And from the sounds of it he’s going to continue ascending with this next hit. It’s a really good song and something you don’t really hear on radio right now. The perspective of the song is a guy that is looking maybe at one of his friends. He’s thinking that his buddy is in love with this girl. The guy thinks she loves him back. All the signs are there. She cuddles up with him. She spends time with him, but the outside viewer can see that she’ll never be able to love him in return. She’s been hurt too bad in the past and right now she can’t get over it. The interesting thing would be if the girl has been let down by the observer. I think it’s one of those things where sometimes you’re blinded by love and your friends can kind of see what is really going on. It’s not even that the girl is doing it on purpose. She’s just looking for something to fill a void and it’s not her fault if that’s not possible right now. Really cool song with a stripped down sound. I think people are going to like this one.